What are today's trending enterprise strategies, and what do you need to support them? With emerging technology and valuable business strategies being developed all the time, it can be difficult for organizations to keep up. Enterprise want to be on the cutting edge, but they also don't want to invest in a solution or implement a new internal workflow approach that won't provide the return it promised. One big issue that consistently gets in the way when businesses look to incorporate something new is a lack of underlying support. This can extend to requirements for more network resources, or a failure to initiate employee buy-in through top-down prioritization. Whatever the case, when stakeholders don't do their due diligence and ensure that all the necessary pieces are in place, a new trending strategy can quickly end up falling flat on its face. So, before your enterprise looks to shake things up with a new software solution or working process, there are a few things you should do first. These include, namely, researching your available options to find the trends that will work well for your company's unique needs, and looking into what's required to support the new approach. Let's take a closer look at some of the most popular strategies trending among today's enterprise sector, as well as the underlying items needed to ensure valuable rollout and a high return on investment. By now, big data isn't really considered a trend anymore, as it's crossed over to the mainstream. Now, everywhere you look, organizations are capitalizing on the information assets they have, analyzing this data to draw out actionable insights that can drive company- and industry-wide improvements. In this way, the trend here doesn't lie in analytics itself, but the increasingly needed process to ensure the accuracy of the data included in analysis. It's no secret that outdated, incorrect and irrelevant data will provide skewed results. And now that 82 percent of executives are leveraging data insights for key decision-making, the accuracy of data sources and analysis is simply imperative. "97 percent of business decisions are made using data that is under the acceptable level of quality." However, a study from Accenture discovered that almost all business decisions – 97 percent overall -are made using data that managers admit is under the acceptable level of quality. And with more data coming in every day – particularly from real-time systems like unified communications and customer relationship management platforms – it's more critical than ever to ensure the veracity of included data. Accuracy of this level is tough, as Accenture Labs Managing Director Michael Blitz explained that many organizations don't have the systems currently in place to support the necessary precision and correctness. Enabling veracity is not impossible, however. Accuracy in data depends greatly upon the ability to incorporate the most up-to-date sources. In this way, ensuring that data from real-time systems can be included in analysis is key. In addition, real-time systems as well as the storage and computing power needed to support data gathering and analysis will require considerable network resources. It can be helpful to offset some of these operations within virtualized or cloud environments to ensure that the required level of resources are available. There are also self-service data analytics solutions available that include advanced capabilities like automatic flagging and crowd sourced quality feedback for data sets that may not be of high enough quality for analysis. In other words, digital transformation refers to the unification of the key, advanced systems enterprises have in place to create a more connected platform for business improvement. This strategy revolves around ensuring that real-time data can be combined with certain advanced technologies to ensure that both the systems and the information they create will provide the most value for enterprise users. Key elements needed to support this trend include an in-depth understanding of the enterprise's current network and infrastructure topology, as well as the ability to identify and work to eliminate existing siloes. Schmarzo also provides more details on digital transformation and how to achieve it in a blog for Dell EMC. Artificial intelligence combined with live chat can provide an advanced way to address customer service needs. While nowhere near as mature and developed in its enterprise use cases as data analytics, artificial intelligence is another trend that we're slowly seeing make its way into the mainstream. Businesses and research teams are investigating a whole host of different applications for AI, and one that's risen to the top in many circles is leveraging AI for customer service chatbots. These intelligent, virtual communication agents can be programmed to handle simple requests and frequently asked questions, enabling customers to get the assistance they need while reserving live contact center resources for more complicated needs. William Flaiz, partner with Bottom Line Strategy Group, noted in a Forbes article that identifying certain tasks and offloading these to an AI chatbot can provide more time for live agents to address more complicated issues, reduce the number of emails and queries the company receives during off hours, and ensure support for round-the-clock customer service. However, it's important to understand that an AI virtual assistant or chatbot won't replace core contact center services and associated unified communications anytime soon. "Using a chatbot can shave a lot of hours off your workweek, but knowing which tasks to turn over can be challenging," Flaiz wrote. "Consider the core areas of your business. 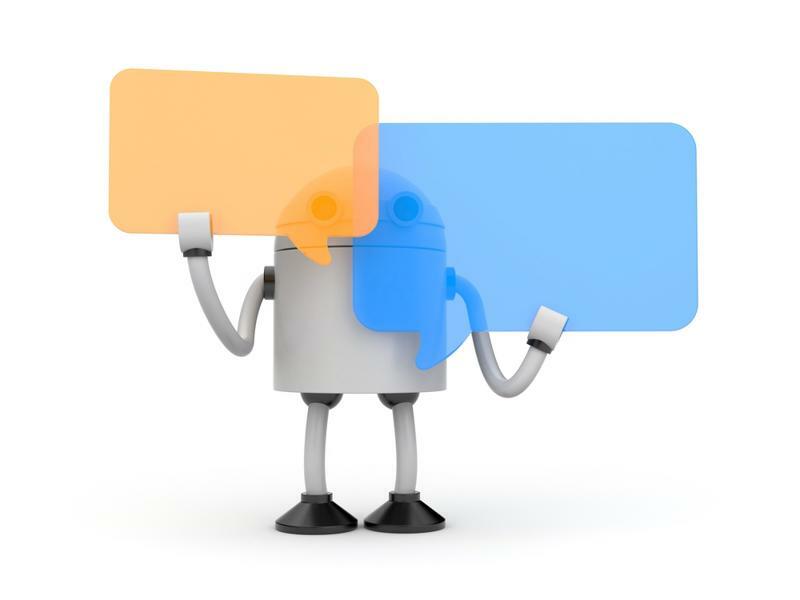 Any tasks that pertain to these areas are probably better handled by a real person, while secondary tasks, like providing customer support for common issues, can likely be delegated to a chatbot." Ensuring that an investment in and the use of an intelligent AI chatbot will provide value for your agency will also require you to have robust tools accessible for your contact center agents. Because more easily-resolved issues will be handled by the chatbot, live agents will need advanced and full-featured contact center communication solutions to enable them to address the more complex types of customer service queries. To find out more about arming your contact center staff and supporting your other employees with robust unified communications, connect with the experts at Teo Technologies today.